Ah, the PlayStation Portable. While many handhelds have come and gone through the years, none seemed to really bring the home console experience into the portable arena quite as well as Sony's PSP. With a brilliant screen, analog control, wireless capabilities, and stereo sound, there really wasn't anything stopping developers from making blockbuster PSP games — so that's exactly what they did. Read on to discover our picks for the Best PSP Games ever released. 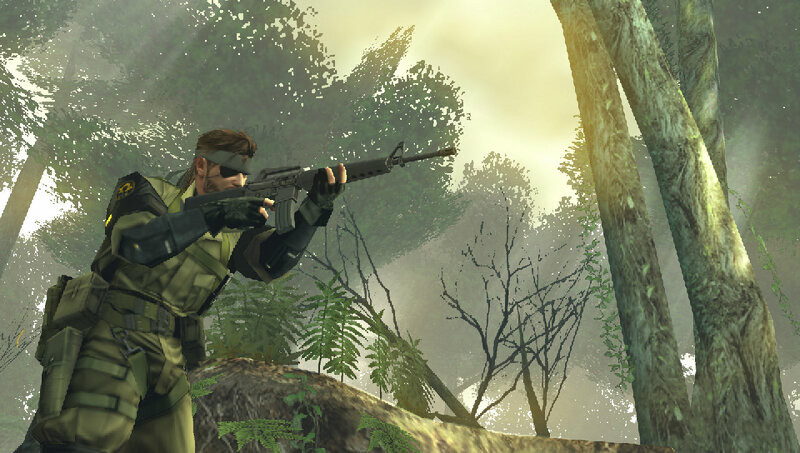 Metal Gear Solid has always been a powerhouse franchise for PlayStation consoles. Hideo Kojima's genuis blend of action and stealth is quite simply peerless, and the series' knack for presentation and breadth of detail turn Metal Gear titles into must-own games for any given console. 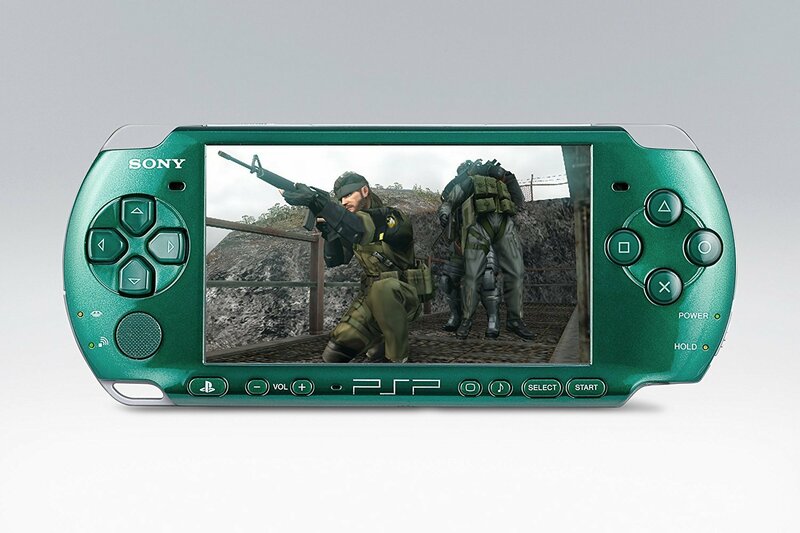 Even with a new direction, the PSP's Metal Gear Acid games were met with much acclaim, and when Metal Gear Solid: Portable Ops released in 2006, fans were blown away by what Konami and Kojima were able to do with the PSP hardware. Little did they know that just four years later Kojima Productions would release Peace Walker, an immense 3D adventure that set the tone for all of the Metal Gear games that followed. Peace Walker isn't just a great portable game; it's also one of the best Metal Gear games ever made. Fans of the series will know just how bold a statement that is, but it's true: the game established the series' "Tactical Espionage Operations" direction, allowing players to take on missions and build up their own Mother Base in the process. The formula would see refinement through the years and would eventually become the magnum opus that is Metal Gear Solid V: The Phantom Pain, but true fans know that the franchise's immense potential was surprisingly and staggerly borne on Sony's first handheld. 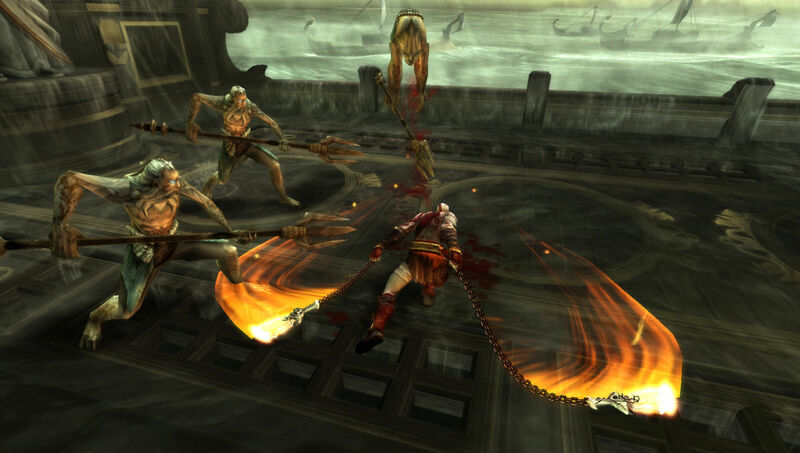 Ghost of Sparta wasn't the first God of War game to grace Sony's portable, but doesn't make it any less important; like other games in the series, Ghost of Sparta was an incredible achievement in game design. Following up on the hugely-successful Chains of Olympus, Ghost of Sparta saw Kratos on his journey to rescue his brother Deimos after his kidnapping by Aries years prior. 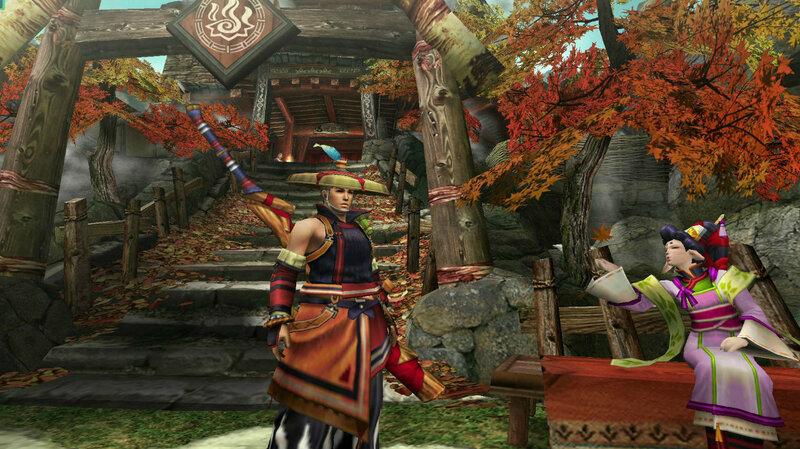 The game featured all of the frantic combat the series had become known for, and featured what many believe to be the best graphics available of any title on the PlayStation Portable. We've opted not to put any PS1 classics on this list, even though Sony's PSP could absolutely play them, but a special exception must be made for Final Fantasy Tactics: The War of the Lions. 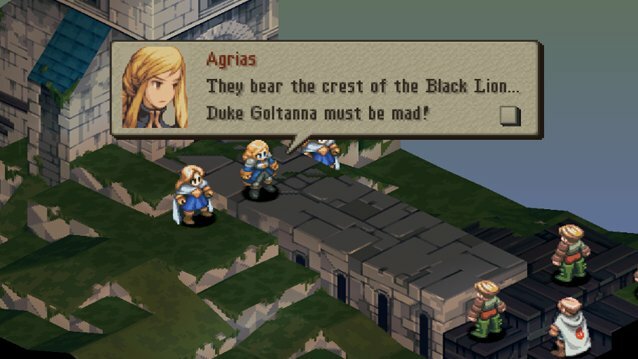 More than a simple port of Squaresoft's 1997 tactical RPG, The War of the Lions offered a fully-updated take on the game, including new cutscenes, additional characters, new job classes, additional episodes, a fresh translation, and a new widescreen presentation. The result was a game that retained all of the original's depth of gameplay and improved upon or fixed each of the original's problems. The fact that it did so in a portable format was just icing on the cake. 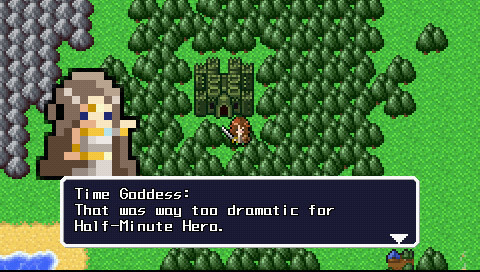 Half-Minute Hero was developer Marvelous Entertainment's answer to the question of how to make RPGs more accessible in less time — quite literally. The game's cutesy hero had just 30 seconds with which to save the world, and by carefully managing their inventory and time spent in towns —- as well as stopping for the occasional chat with the Time Goddess — players could frantically battle their way through hoardes of monsters and slay the ultimate evil. Despite its RPG trappings, Half-Minute Hero became a genre-blending title, leaning often toward action or even strategy influences. Needless to say it became a surprise hit, and it still ranks today as one of the must-play titles for the PSP. North American gamers unfortunately missed out on Rondo of Blood, a PC Engine title that was then-hailed as perhaps the best Castlevania game ever made, and were instead treated to a poorly-realized SNES port of the game titled Castlevania: Dracula X. This mistreatment obviously wouldn't suffice, so the team at Konami went back to the drawing board, and in 2007 released a 2.5D remake of Rondo of Blood for the PSP called Castlevania: The Dracula X Chronicles. Retaining all of the style and action of the original title and enhancing the experience with altered graphics and a new script, Dracula X Chronicles became the definitive way for players to experience Konami's 1993 classic. 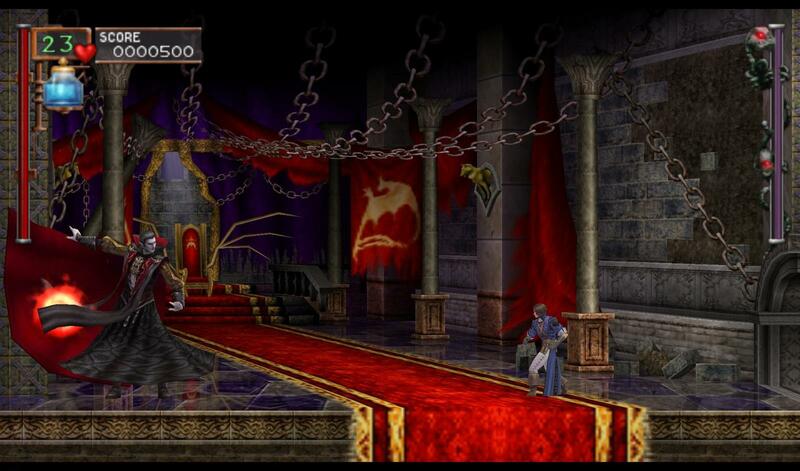 Just being a proper port of Rondo of Blood was more than enough to make The Dracula X Chronicles one of the most attractive titles on the PSP, but players who completed certain requirements within the game found that the disc contained a very special surprise: a full and complete port of Castlevania: Symphony of the Night. Not only did the two games serve the same storyline, they both contained similar gameplay elements, meaning that players could experience the very best that Castlevania had to offer in one convenient, portable-ready package. Ys wasn't a series that was well-known in the United States during the PSP's lifetime. 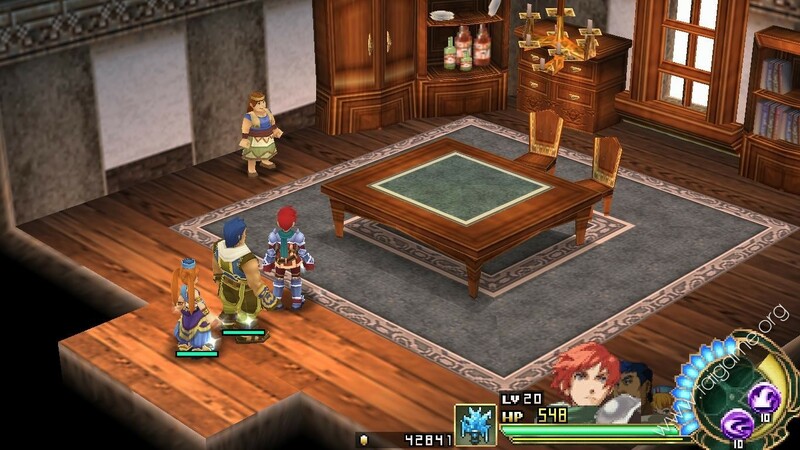 Japanese gamers had been enjoying Ys games since as far back as 1987, and though American players would see ports of older Ys titles for the PS2 in 2005, it wasn't until 2010 that North American players were finally treated to an English-language release of a brand-new game in the series. That game was Ys Seven, and it's safe to say it took casual RPG fans by surprise. The game had a great 3D world, solid art direction, and most importantly of all, addictive combat. While it wasn't exactly cutting-edge in graphics or presentation, Ys Seven still managed to retain the core essence of 32 bit-era role-playing games, providing an instantly-familiar look and feel of the type that gamers haven't seen since the decline of the PS1. Polyphony Digital and PlayStation hardware go hand-in-hand, and it's hard to imagine a PlayStation console without the availability of a Grand Turismo game. While it might have been a given that the PSP would get its own Gran Turismo title, perhaps not everyone expected it to be as good as its console brethren. Nuts to them, though, because it was — the game presented all of the driving-simulation fun fans had come to expect from the series, and packed over 800 cars and 35 tracks into a game that still managed to run at 60 frames-per-second. 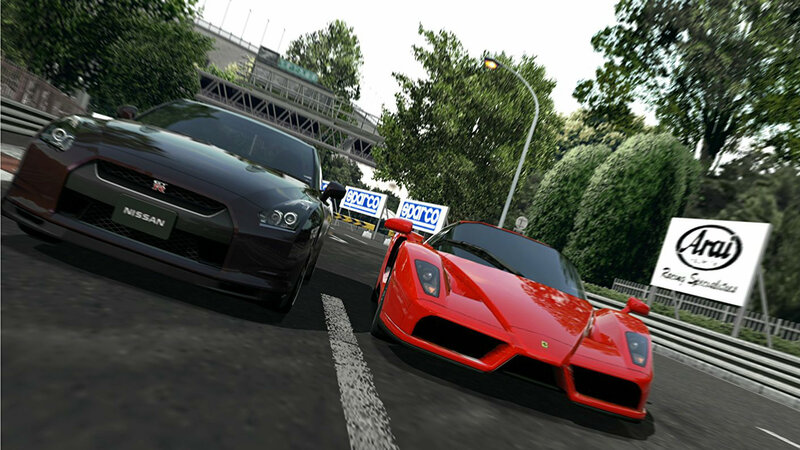 Simply put, Gran Turismo PSP was the best racing game ever to grace a portable system. Many Monster Hunter games came before Portable 3rd — namely Freedom 2 and Freedom Unite, which were both released for the PSP — but Portable 3rd earns top marks not only for being the most robust Monster Hunter title to land on the PlayStation Portable, but also for being the highest-selling PSP game of all time: at 4.8 million units sold, Monster Hunter Portable 3rd takes the top spot away from Gran Turismo by 140,000 units, and eventually sold more than Grand Theft Auto: Liberty City Stories and Vice City Stories combined. The game's success not only showed how strong the series is, but just how ready gamers were to get console-level gameplay out of a handheld device. Sony's portable console might not have had a huge selection of fighting games, but it did feature the two series that counted most: Tekken and Street Fighter. 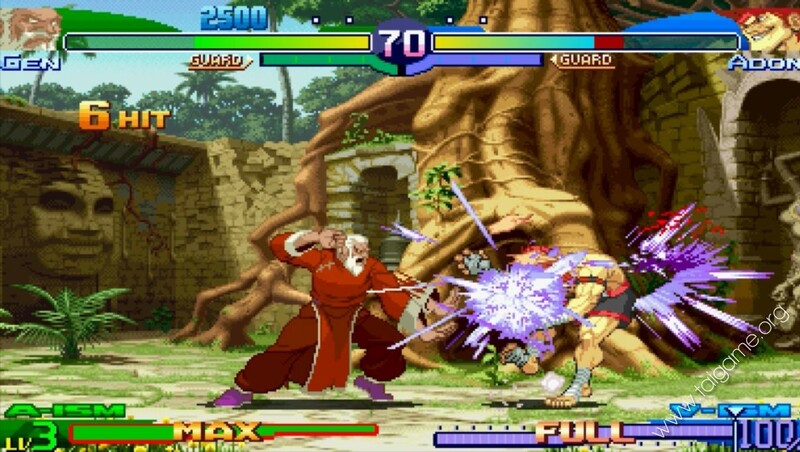 And while Tekken: Dark Resurrection would go on to become the best-selling fighting game for the PSP, Street Fighter Alpha 3 MAX garnered a strong following for being the the best version of Alpha 3 in existence. It not only contained all of the action players had grown to love from the 1998 original, but it threw in all of the extra characters added to the GBA version of the game and wrapped everything up in a package that looked, sounded, and ran as well on the PSP as it had on the original PlayStation hardware. The PSP played host to a number of puzzle and rhythm games — even some games that melded those genres together, like Patapon — but the must-have rhythmic puzzler for the PSP is and has always been Lumines. 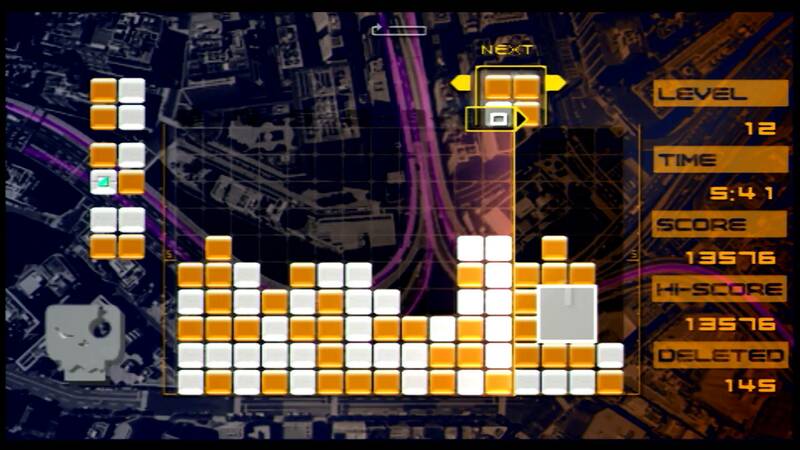 Designed by Testuya Mizuguchi in collaboration with Q Entertainment, Lumines was a launch title for the PSP, and served to set the tone for all of the games to come. Colorful, addicting, and just the right amount of psychedelic, Lumines was perfect for quick distractions on the go or long sessions at home. It wasn't an intense 3D action experience like many of the games on this list, but it provided the one thing that any handheld system needs: a game with limitless replay value. Do you have a PSP favorite you think should earn a spot on our list? If so, let us know in the comments.